We are the best choice for new build-outs and remodels. We handcraft for the utmost quality. Serving Northern California and Beyond. The list of services we offer ensures that we have something for you. See what we have to offer. We have been trusted for over 30 years. See why we are chosen over the competition. Speak with one of our professionals and get the cutting edge seating your business needs. At Commercial Seating Specialists, we are committed to providing our customers	with only the highest quality products and services for your commercial	seating project. With over 30 years of experience, our team of highly	skilled craftsmen and designers can handle every aspect of your project,	from quotes, to design, to specs, layout, materials, styling and scheduling. Our craftsmen at Commercial Seating Specialists are experts at creating	functional and attractive pieces, as well as designing your space from	top to bottom, always with the finest materials. 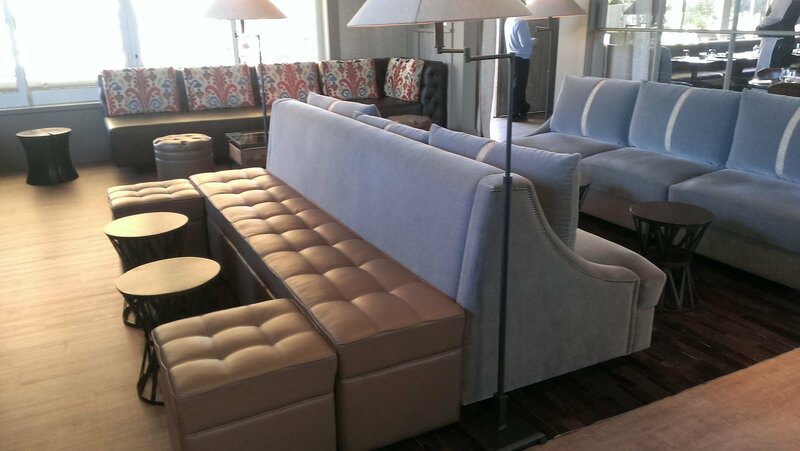 We are able to fabricate	a variety of custom seating options, including booths, banquettes, tables,	chairs and cabinetry, allong with optimum mobile upholstery repair. Call	us at (408) 453-8983 for more information. If you’re looking for high-quality furnishings for your business, look	no further than our expert team at Commercial Seating Specialists. Whether	you need truly unique, custom designed and fabricated furniture made with	the finest materials or you just need help determining the best use of	your space to maximize functionality, consult with us on your seating	project. Even if you do not need custom furniture, we also work with a	wide variety of manufactures of chairs, lounge/patio furniture and other	items that will help to complete your project. We can also repair or modify	your existing furnishings on-site with our fleet of custom, fully-equipped	mobile service trucks. From our furnishings to our emphasis on customer-first	service, our goal is to bring quality to every facet of our work, so give	us a call today! To learn more about Commercial Seating Specialists, please contact us at (408) 453-8983.